Q. Can I get on and off the ship with ease? A. Cruise ships have large gangways which make getting on and off the ship easy. A small selection of ports are too small for a large cruise ship to berth directly in the harbour, in which case a tender boat will be used in place of the usual gangway. These ports are called ‘tender ports’ and may not be accessible for all people with disabilities. Our agents will advise you prior to booking if any ports on the itinerary you have selected are tender ports. Q. Can I arrange embarkation and disembarkation assistance? A. Embarkation and disembarkation assistance can be arranged if required. An accessibility form will be sent directly to you after your booking has been made. Once you have completed and returned it, the cruise company will arrange the necessary assistance for you. Q. Are cruise ships fully accessible? A. The majority of cruise ships are fully accessible and you will be able to use all the appropriate facilities on board. Our agents will help you select the best ship for you. Decks are accessible via lifts, and entertainment and dining venues are all fully accessible. Q. Is there a designated area in the theatre for full-time wheelchair users? A. The theatres on board have a limited number of wheelchair spaces, as well as chairs for companions, if applicable. Please note that these cannot be reserved in advance and are for full-time wheelchair users only. Q. Are there hoists available for pool use? A. Pool hoists are available on certain ships. Our agents will be able to confirm which ships have a pool hoist. Q. Do the ships have hospital-style beds on board? A. Hospital-style beds can be hired in advance and will be installed in your cabin ready for your arrival. Our agents can provide you with details of a bed hire company. The company also hires other accessible equipment including shower chairs, wheelchairs, scooters and more. Q. Can I have a fully accessible/adapted cabin? A. If you are a full-time wheelchair user, we will book you a disabled cabin and guarantee that you get it. If you are not a full-time wheelchair user, you may find a standard or partially adapted cabin with additional equipment is fine for you. It is important to note that all accessible equipment, including your wheelchair/scooter, must be stored in your cabin. There is no additional storage space on a cruise ship for accessible items. Q. Are disabled-adapted cabins bigger than a standard cabin? A. Disabled-adapted cabins are larger than standard cabins to take into account manoeuvring a wheelchair around the cabin. If your wheelchair is a larger model or needs to be in a reclined position, it is important to make our agent aware so this can be taken into account at the time of booking. Q. What cabin types are available with disabled facilities? Inside - An interior cabin without a window. Outside - A cabin that has a window or port hole. Balcony - An outside cabin with its own personal balcony and seating area. Balconies in accessible cabins are also accessible. Suite - A cabin with a bedroom and seating area, windows and a balcony. Booking early is advised for the best choice. Cabins go on sale from 18 months to two years in advance of the sailing date. Q. What equipment/facilities are in an adapted cabin? Q. Will my wheelchair/scooter fit through the door of a non-accessible cabin? A. A wheelchair or scooter may not be able to fit through the doorway of a non-accessible cabin. If you are a part-time wheelchair user and considering a non-accessible cabin, we advise that you check with our agent prior to confirming a booking. They will advise if a non-accessible cabin is suitable for you. It is important to note that non-accessible cabins may have a bathtub and not a shower cubicle. Q. Can my friends or family travel with me, even though they don’t need a disabled cabin? A. Of course. As long as we have a cabin suitable for your disability, we can book a non-adapted cabin for your friends or family. Subject to availability, we can even book the adjacent cabins for you and your family/friends. Q. I am a full-time wheelchair user. Can I disembark at every port? A. There are some occasions when full-time wheelchair users may not be able to disembark at certain ports due to tidal variations or ports requiring a tender. Our advisors can give you more detailed information about which ports are likely to be affected. Q. Am I able to participate in organised shore excursions? A. Yes. The majority of cruise lines have wheelchair-accessible tours at selected ports. Details of accessible excursions will be sent to you approximately three months prior to sailing. It is advisable to book excursions early, as they are popular and fill up fast. Q. Can I “do my own thing” once in port? A. Yes. You are free to do your own thing once in port or join an organised pre-booked excursion. There are generally many non-adapted taxis waiting at ports. If you require an adapted taxi, it is important to book with guest services prior to leaving the ship, as not all ports will offer an adapted taxi service and it can vary from port to port. If you are able to walk short distances and board a coach via steps, you may not need to book the adapted excursions. Q. Can I bring a wheelchair/scooter on board? A. Wheelchairs and scooters can be taken on board a cruise ship; however, they need to be stored in your own cabin as there are no alternative storage areas on board. Q. Does my wheelchair/scooter need to be a certain size? A. If your wheelchair or scooter is an extra large or has been specially adapted in any way, please discuss with our agents prior to booking. We want to make sure every aspect of your holiday is just right. Q. 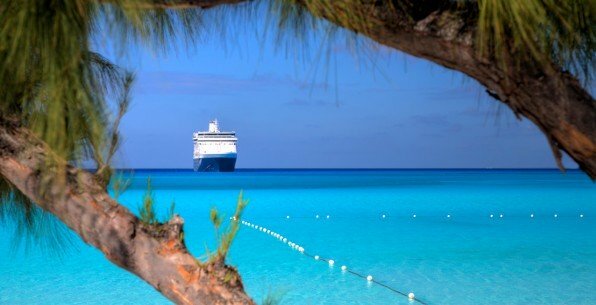 Does the cruise line provide storage for wheelchairs, scooters or mobility aids? A. No. All wheelchairs, mobility scooters and walking aids must be stored in guests’ cabins when not in use, due to health and safety regulations. Q. Can I charge my wheelchair/scooter in my cabin? A. Yes, all electric wheelchairs and scooters can be charged in cabins. Q. Can you hire mobility aids for me? A. Yes. We have contracts with various disability hire companies. Please advise one of our consultants of your needs and they will be happy to get you a price for the mobility aids you require. Q. Can I hire a wheelchair for use on board? A. A. Some cruise lines offer wheelchairs for hire while on board; however, these are generally on a first-come, first-served basis. For this reason, we strongly recommend bringing your own wheelchair or hiring one via a hire company. Q. Can I travel alone if I use a wheelchair or mobility scooter? A. Yes. However, it is important to bear in mind that although crew members are very helpful, they are unable to assist you in moving around the vessel or in any personal day-to-day tasks. If you require personal care or assistance moving around the ship, we suggest you be accompanied by a personal assistant or travelling companion. Q. How suitable is cruising for people with disabilities? A. Cruising can be a very convenient and relaxing way to travel, as you’re able to visit multiple destinations without the hassle of transferring baggage or checking in and out of hotels. Cruise ships also provide a wide range of facilities to disabled guests in order to make your trip as enjoyable as possible. A. On the majority of cruise lines, you have to pay for drinks; however, cabins often feature tea- and coffee-making facilities. You will have juices, teas and coffees included at breakfast; and in the majority of buffet restaurants, tea and coffee is available 24 hours a day. Some cruise lines also offer all-inclusive upgrades for a supplement, and some 6* luxury liners include all drinks as part of the cruise price. Our agents will be able to make you aware of any special offers available for drinks packages or all-inclusive cruises. Q. Who should I contact if I have a query regarding disability issues? Give our agents a call on 0161 804 9898 and they will be able to answer any questions and let you know about the best deals and offers.